Ok, so I did this crazy thing and decided I would try to help reluctant adults (of all ages) become more comfortable with technology. 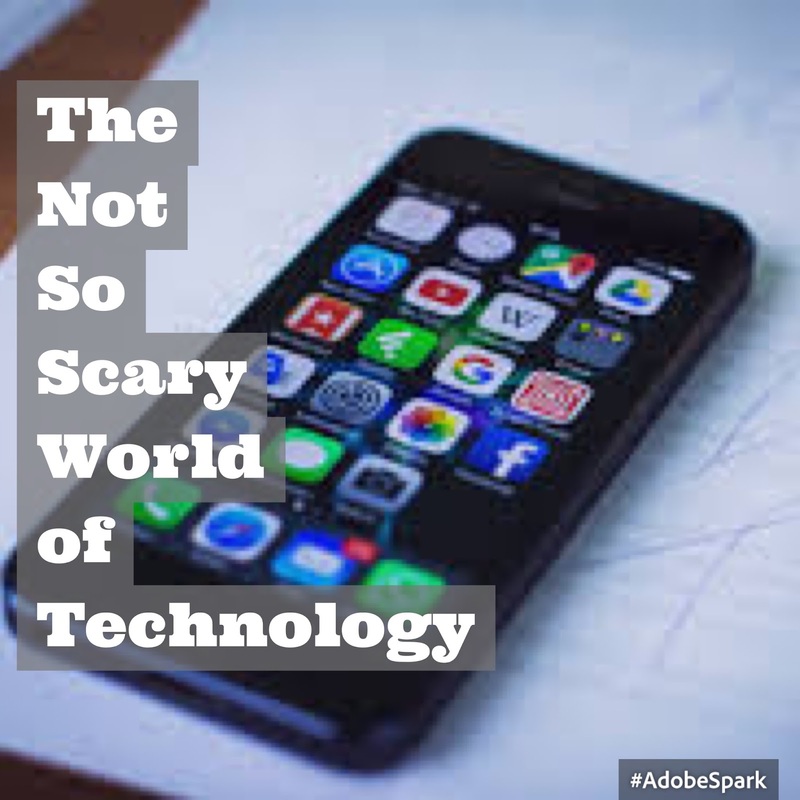 If you remember from last week, this came from an epiphany while sitting in church (sorry Pastor) about how there are so many adults who I know want to grasp technology but cannot because of FEAR. This lead to the creation of the Not So Scary World of Technology. Prior to week one, I had no idea what this was going to look like. Of course I had these grand ideas of sitting around with some adults from church and teaching them how to use HTML or edit photos on Adobe Spark or even start their own blogs...I had to slow down a bit. As an educator, I realized quickly that I needed to figure out the needs of the students. I also realized there was a pretty big range of ability among the participants. Their confidence levels also varied as well. Although I feel that even the most confident participant in the room was still pretty unsure of herself when it came to all aspects of technology. I realized that the biggest lessons were not necessarily going to be about technology but more about confidence. We had to break down that fear among them. The way we do that...practice, tinker, play...no different than any other student. It is as simple as it looks. We also played Kahoot as a fun, closing quiz. Kahoot is simply an online, interactive quiz that is used with students in schools. Of course like many things, the age of the student does not matter. They seemed to enjoy that. We are not changing the adults all at once. Not every participant will completely eliminate their fears of using technology. However, I am starting to see more smiles and a glimmer of confidence among the participants, and that is what matters.